Sono Osato rehearsing a number from the Broadway musical “On the Town” with the show’s choreographer, Jerome Robbins, in 1944. It was one of two hit musicals in which Ms. Osato appeared in the 1940s. Sono Osato, a Japanese-American dancer who toured the world with the Ballets Russes de Monte Carlo, performed with the Ballet Theater in New York and then gained acclaim on Broadway in the World War II-era musicals “One Touch of Venus” and “On the Town,” was found dead early Wednesday at her home in Manhattan. She was 99. Her death was confirmed by her sons, Niko and Antonio Elmaleh. When Copeland discovered ballet she was 13, living with her mother and siblings in a motel in California. She was a shy, slight child who rarely spoke and tried not to be noticed. Twenty-three years later, hers is the kind of transformation story even ballet might think far-fetched. In 2015, she became the first black female principal dancer at American Ballet Theatre – and with that a spokesperson, poster girl, and bona fide star. Barack Obama sought her out as an adviser, Prince invited her on tour, Spike Lee wants her in his films, and people queue up to meet her at the stage door of the Metropolitan Opera House in New York. The enthusiastic applause for Dance Theater of Harlem’s revival of “Dougla,” at the New York City Center on Friday, started as soon as the curtain rose. The opening image was of a stage full of proudly posed men and women, all in floor-length skirts decorated with little red pom-poms. More of those pom-poms crowned their heads like rooster combs. Geoffrey Holder, who choreographed “Dougla” in 1974 (and died in 2014), also designed its costumes, and the dance is largely a costume pageant. But it wasn’t just the spectacle that people were cheering. In the years since she became the first black ballerina to be a principal dancer with the American Ballet Theatre, Misty Copeland has become a well-known symbol of breaking down barriers in her art. 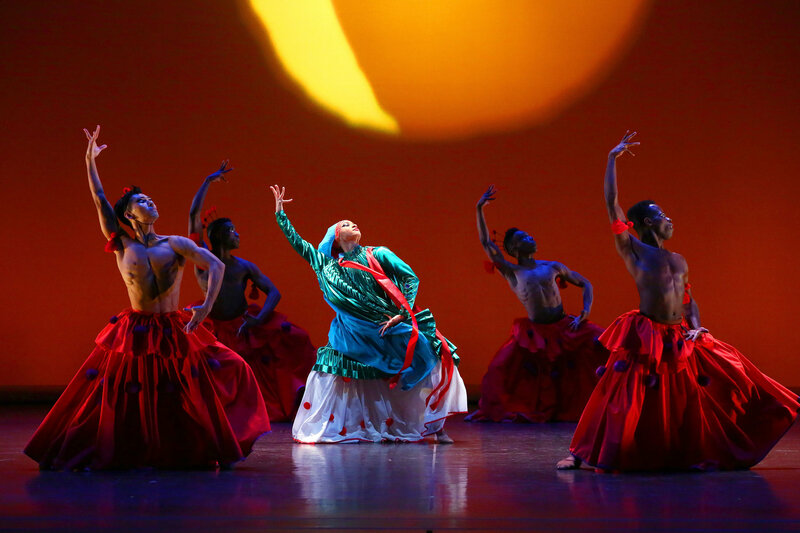 The strides she has made build on the work of one particular dancer — a mentor of Copeland’s, Raven Wilkinson, who broke new ground in similar ways during the 1950s. And, though much has changed since that era in both civil rights and on the stage, Copeland tells TIME that there is still a long way to go. Wilkinson’s passion for ballet began at an early age and would take her around the nation with the Ballet Russe de Monte Carlo. As the first African American ballerina to dance with a major touring troupe, she performed the coveted solo waltz in Les Sylphides. Dougie Baldeo, a 13-year-old ballet student at Harlem School of the Arts, stood onstage Monday night as Misty Copeland offered him pointers on his port de bras, or carriage of the arms. “Once you start moving, I don’t want to see the claw creep back in,” she said, referring to his sometimes tense right hand. Dougie was one of 13 students selected to study — if only for an hour — with Ms. Copeland, one of the most famous ballerinas in the world, who in 2015 became the first female African-American principal dancer with American Ballet Theater. As Misty Copeland gets older, she seeks even more depth in her acting. 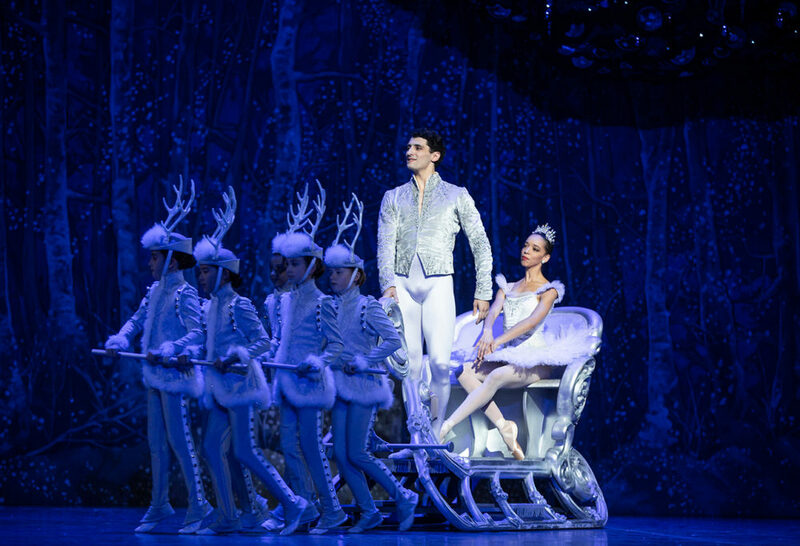 Misty Copeland isn’t one of those principals who step onstage a few times a season. She dances. A lot. “It’s crazy how I took jumping for granted all these years,” Ms. Copeland, 34, said as she stretched out on the floor between rehearsals at American Ballet Theater’s studios. Stella Abrera, a fellow principal, nodded in agreement. “What did you just do?” she asked. The Center for Iberian and Latin American Music at the University of California at Riverside, and the Foundation for Iberian Music at The Barry S. Brook Center for Music Research and Documentation at the CUNY Graduate Center will host a conference on the transatlantic circulation of malagueñas and zapateados at University of California, Riverside on April 6–7, 2017. In the inaugural conference in this series, Spaniards, Indians, Africans, and Gypsies: The Global Reach of the Fandango in Music, Song, and Dance, we gathered in New York to explore the fandango as a mestizaje, a mélange of people, imagery, music and dance from America, Europe, and Africa, whose many faces reflect a diversity of exchange across what were once the Spanish and Portuguese Empires. At that conference, we considered the broadest possible array of the fandango across Europe and the Americas, asking how the fandango participated in the elaboration of various national identities, how the fandangos of the Enlightenment shed light on musical populism and folkloric nationalism as armaments in revolutionary struggles for independence of the eighteenth and nineteenth centuries, and how contemporary fandangos function within the present-day politics of decolonialization and immigration. We asked whether and what shared formal features—musical, choreographic, or lyric—may be discerned in the diverse constituents of the fandango family in Spain and the Americas, and how our recognition of these features might enhance our understanding of historical connections between these places. We hoped with that pioneering effort to gather international, world-renowned scholars to open new horizons and lay the foundation for further research, conferences, and publications. We are immensely proud of that 2015 gathering, and of the two published editions of its proceedings: in bilingual form in the Spanish journal Música Oral del Sur (vol. 12, 2015) and in English (forthcoming 2016 from Cambridge Scholars Publishing). But the inaugural conference merely set the first stone. All of the participants in the 2015 meeting agreed that conversations should continue, relationships should develop, and that many questions and avenues of research remain. We are therefore pleased to issue a call for papers for the upcoming conference on two nineteenth-century forms related to the fandango—at least in their standing as iconic representations of Spanishness: malagueñas and zapateados. From their virtuoso elaborations in flamenco song, to the solo guitar rondeñas of “El Murciano,” from the 1898 La malagueña y el torero filmed by the Lumière brothers to Denishawn’s 1921 Malagueña, from Isaac Albéniz’s iconic pianistic malagueñas to the interpretation by Cuban composer Ernesto Lecuona which, as Walter Clark observes, became a global pop tune, how do malagueñas address the aspirations of growing middle-class concert audiences on both sides of the Atlantic? How do they reflect and crystalize prevailing yet contested notions of what is “Spanish”? How, in the transgressive ruckus and subversive sonorities of Afro-Latin zapateados circulating through, as performance scholar Stephen Johnson says, the ports, waterways, and docks of the Black Atlantic may we describe the race mimicry inherent in nineteenth-century performance? What is the relationship of zapateado with tap and other forms of percussive dance in American popular music? And how in the roiled and complicated surfaces of these forms may we discern the archived rhythmic and dance ideas of African and Amerindian lineage that are magical, or even sacred? How do zapateado rhythms express the tidal shift in accentuation of the African 6/8 from triple to duple meter described by Rolando Perez Fernandez? How did the zapateados danced in drag, in bullrings and ballets, resist nineteenth-century gender codes? What secrets are held in the zapateados performed on a tarima planted in the earth and tuned by ceramic jugs in Michoacán? In light of compelling research by Andrés Reséndez and Benjamin Madley into the devastating history of enslavement and genocide of indigenous peoples of the Americas, what new considerations arise with regard to best practices for historiographically aware nomenclature? How should we view and use words like “Indian,” “Native,” “mestizo,” “criollo,” etc.? Paper presentations will be 20 minutes, with 10 minutes of discussion. We also welcome workshop-style presentations incorporating dance, music, and song. Please send a title and a 150-200 word abstract to K. Meira Goldberg at fandangoconference.cuny@gmail.com. by December 31, 2016. In the world of American ballet, Misty Copeland is the exception. 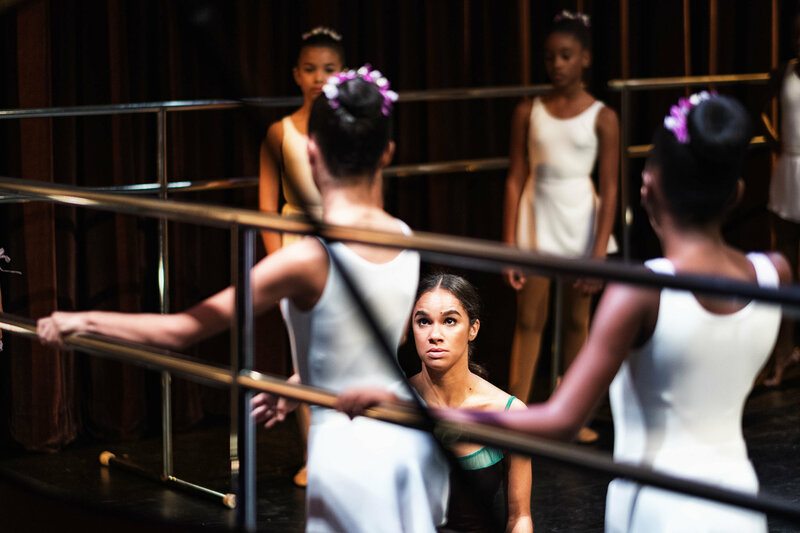 As the first black woman to become a principal dancer for the American Ballet Theatre, Copeland knows what it’s like to be one of the few women of color to break through. That’s why when President Barack Obama asked her to visit Cuba as part of a sports envoy program designed to further strengthen relations between the United States and the Caribbean nation, Misty felt struck by the number of brown bodies she saw at the prestigious Ballet Nacional de Cuba.